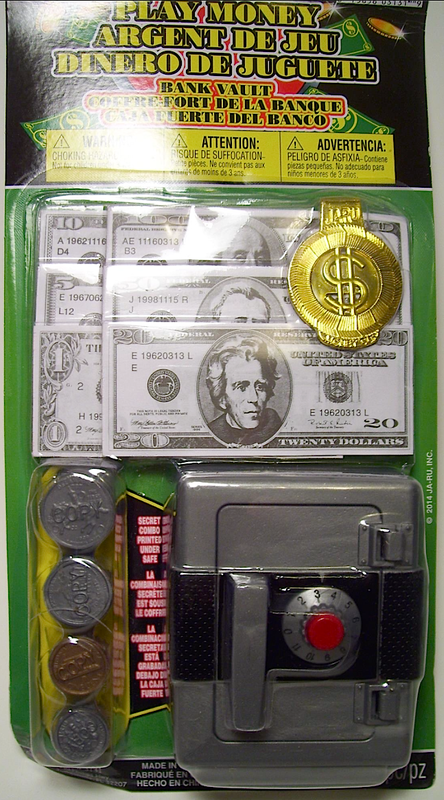 Once this new Thunderbirds program hits the airwaves, it’s a sure thing that fans all around the world will want to collect merchandise from the show. Hello, Hasbro? Take a hint from CITV and TV2. 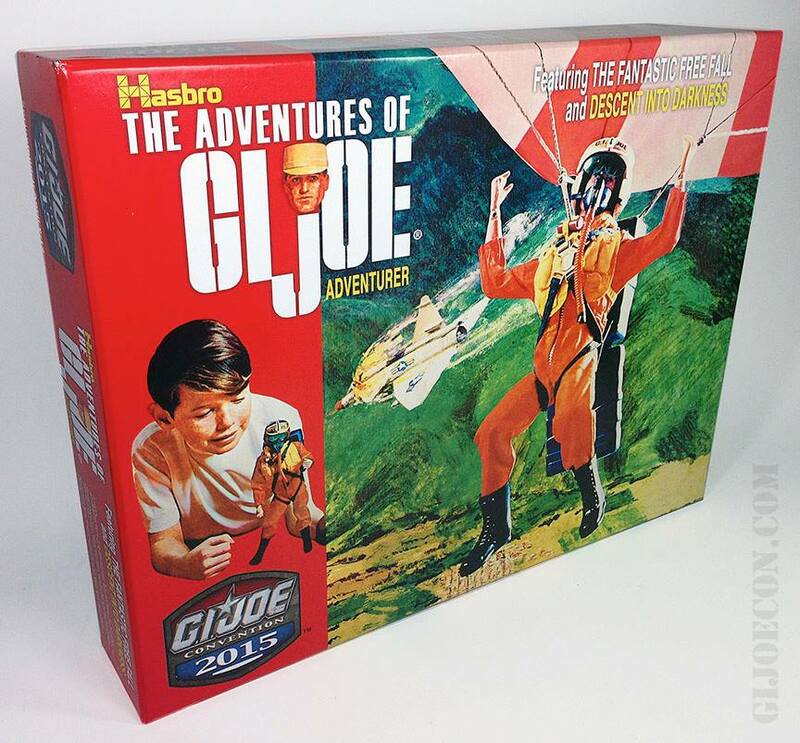 Imagine if their same superb animation skills were applied to a GIjOE Adventure Team program. You could be raking in the dough too, through renewed AT merchandising! Tagged Animation, Gerry Anderson, Thunderbirds Are Go! Bottom Line: The world’s most popular toy line has made yet another appearance in American pop-culture. 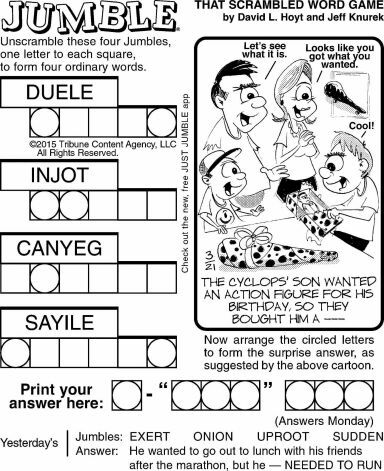 No, it’s not in your local toy store (sorry), but in the Jumble puzzle on the comics page of your local newspaper. We not sure if the Jumble’s creators are GIjOE fans, but they’ve clearly made our 12-inch action hero a central part of today’s challenge. We recommend that you print out the graphic shown above, complete the puzzle at your leisure, and then cut it out and add it to your ever-growing scrapbook of GIjOE-related ephemera. 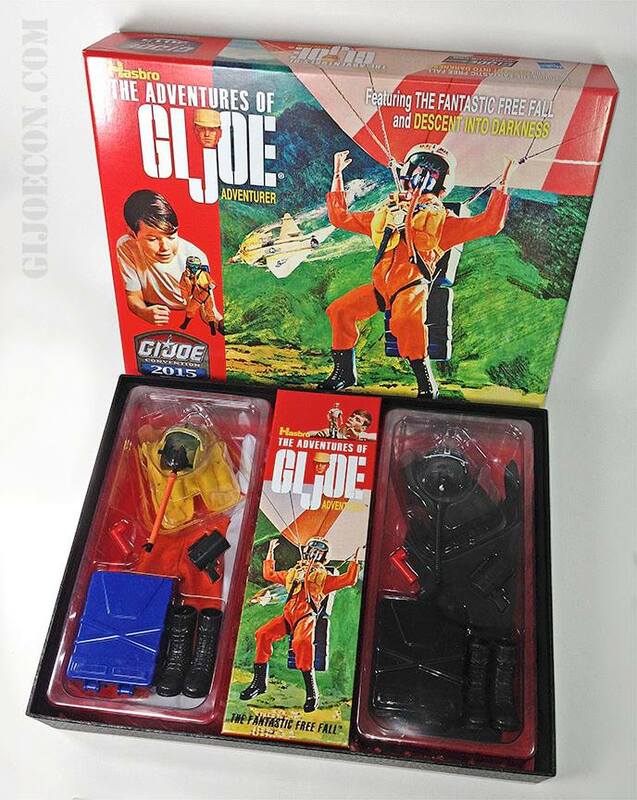 The Jumble’s now part of GIjOE’s history! 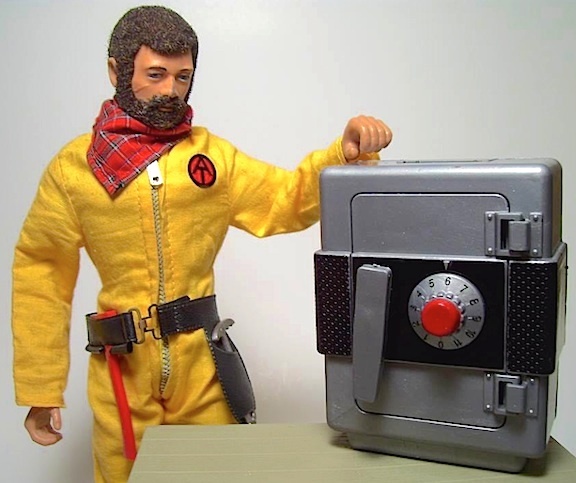 Hot New Product———1:6 Scale Home Safes Found at “Local Craft Store” in West Virginia For Just $3! Would you pay REAL money for this fake money? Of course not. But that safe? Oh yeah, BABY! (Photo: Michael Hinchman) Click to enlarge. Our sincerest thanks to Michael for his “eagle-eyed” report of this exciting new 1:6 scale find. To see what Hinchman’s “Safe-cracker Joe” has planned for the safe shown above, we recommend you take a look at the actual safe-cracking video clip shown down below. 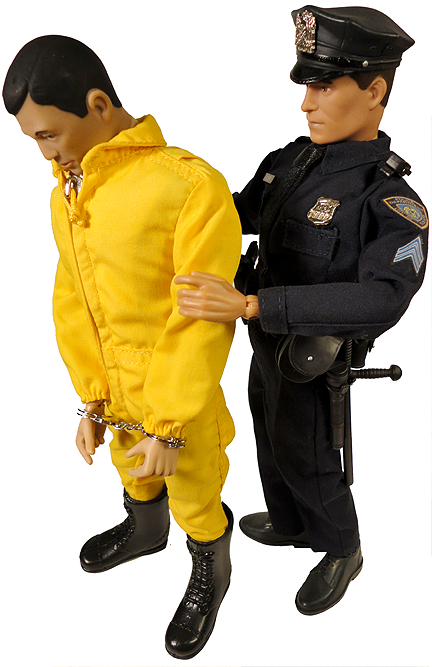 But remember, while such illicit activities may seem like a good way for your Joes to solve their “financial frustrations,” your Law Enforcement Joes are always on the job (see below). 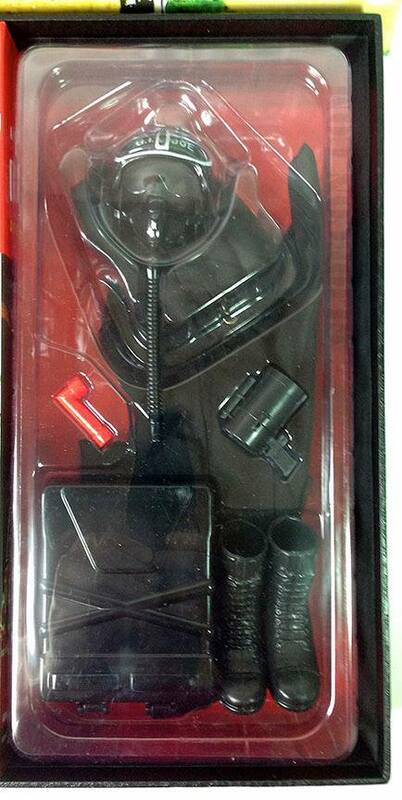 Exterior of the JoeCon 2015’s 12-inch exclusive’s main box. (Photo: GIjCC) Click to enlarge. The full set revealed. Geronimo! (Photo: GIjCC) Click to enlarge. “ARE YOU A NUTTER?!!!!!!!!!!!!!!!!!! Again, another snide-swipe at our hobby. You can’t blame Hasbro for not wanting to celebrate the 50th with all the negative polling that was shown on this programme, i.e. we don’t collect it—we are not interested in it—we dont want it. “It was clear from the PR guff on the B.B.C. website that the tone would be disparaging at best. I thought it was nasty as well as being grossly inaccurate about the success of Palitoy Action Man in terms of contemporary sales, awards and longevity. 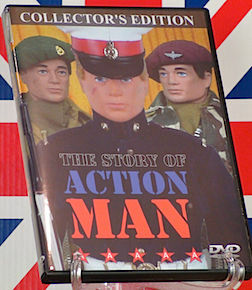 Action Man is remembered with fondness by many – not just us collectors – and was recently voted equal FIRST in a Leicestershire museums’ poll of the objects in their collection, reflecting the affection that people still have for the original Action Man, at least in this area where he was manufactured and where many former Palitoy workers live. “The programme was passable viewing, but AM’s involvement in it was pointless. All but a few seconds worth of the AM collectors who took part seems to have ended up on the cutting room floor. Action Burt was missing completely! “I have to say that I usually find May’s toy programmes both interesting and a link back to my youth. 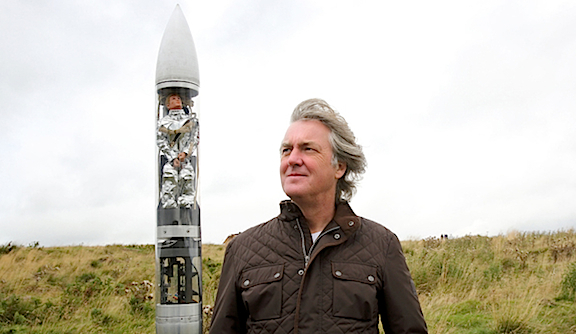 However, James May has always been disparaging towards AM, and in this programme, he ignores to a large extent the fact that this is a toy that was extremely successful and that was not only something to be played with, but also something that allowed us as children to be the character that we invented for AM. Let me explain. When I got the Polar Explorer outfit and figure as a boy back in the 60s, I also got the book that was issued at the same time. From memory, in that book was instructions on how to build a polar base station from a cardboard box. My memories of that are still with me, I built the building which my explorer returned to after his adventures, I kitted it out with all manner of things which I made from all sorts of scrap, not only did AM allow me to be a Polar explorer in my imagination, but I also learnt a lot of creative skills in the process, (I went on to attend Art College, and those early creative skills came in very useful). This was always the case with AM, not only did I play with him, but I also took on, to an extent the persona and the character of AM in the process and I built and made things to enhance my play. This is how children learn and develop and toys like AM allowed us to do that. 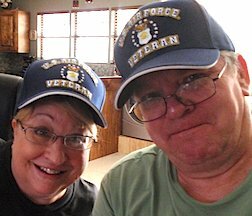 “I have two young sons and they play with my Action Men; what they do is make up stories and adventures for AM, dress them up in costumes, stage fights, rescues, exploration missions—which is what AM was designed to do in the first place. 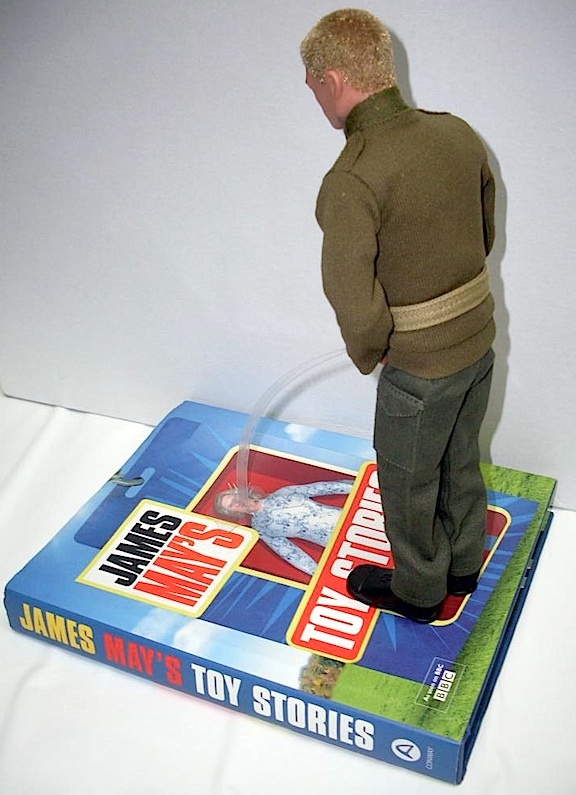 With all due respect to James May, who does produce generally excellent programmes about toys, he comes at them from a different perspective. Look at his previous shows; he demonstrates how good Meccano is by building a bridge. He shows what Scalextric can do by recreating Brooklands motor racing circuit. 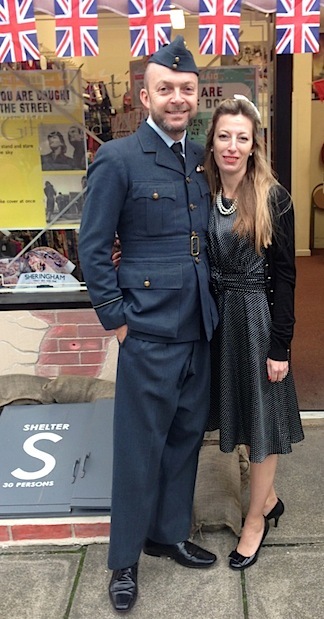 Airfix kits; he goes and makes a life-sized one for school children to build. Lego, he builds a functioning house out of the stuff. 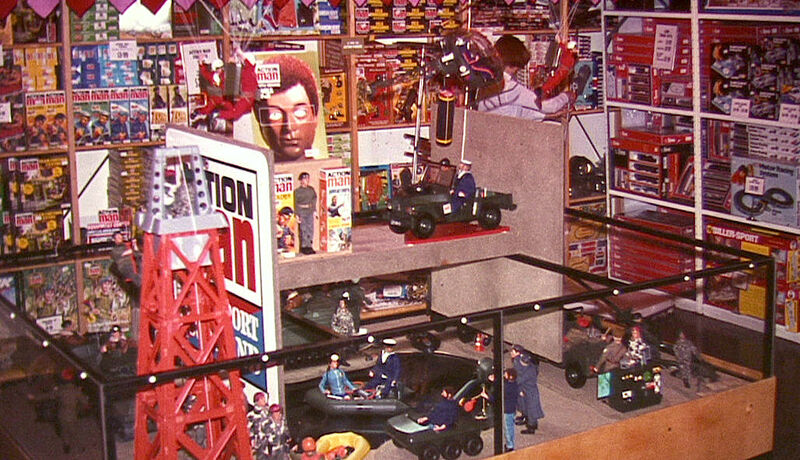 “I appreciate some peoples views, but they have to respect that this program was made for television and the masses, NOT Action Man fans exclusively (and certainly not self-appointed elitists).This had to be an entertaining program, not a factual Action Man hobbyists dream. He (May) was celebrating science and engineering with a nod to Action Man. 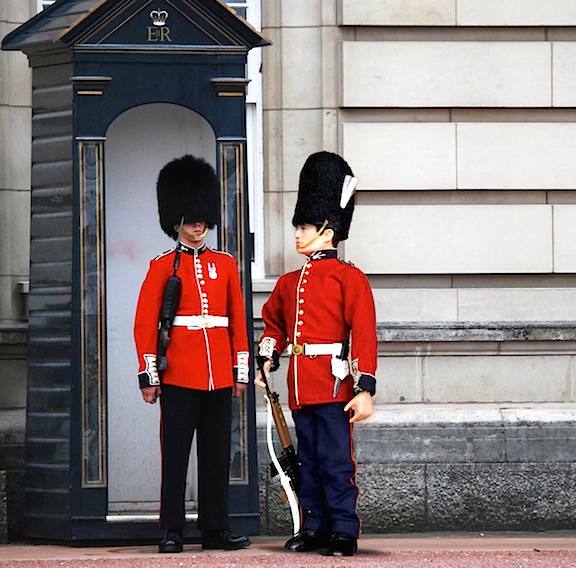 He said at the NEC that he was very fond of Action Man in his various uniforms but felt he was too old for him. 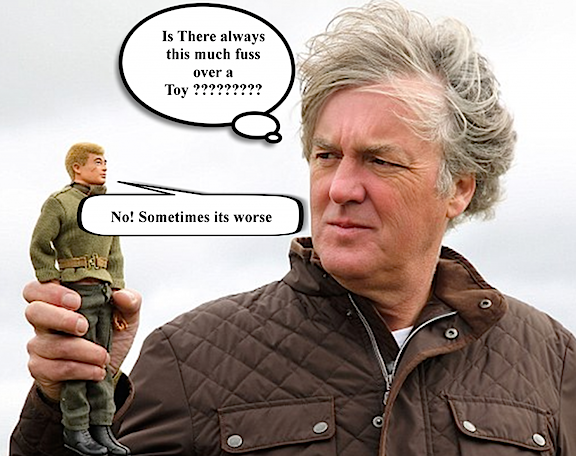 Now seeing as he is just over 50 years of age, I would say this says more about James May than Action Man. He obviously doesn’t stimulate his mind in the way that Airfix and Meccano did. “Please don’t waste time writing to the BBC. You will only just add credence to the myth that AM collectors are just a bunch of sad old tw@ts. You’ll be doing all of us a huge disservice. Let it go. I see where all the points are coming from, but the show was made for mass appeal, not specialist indulgence. 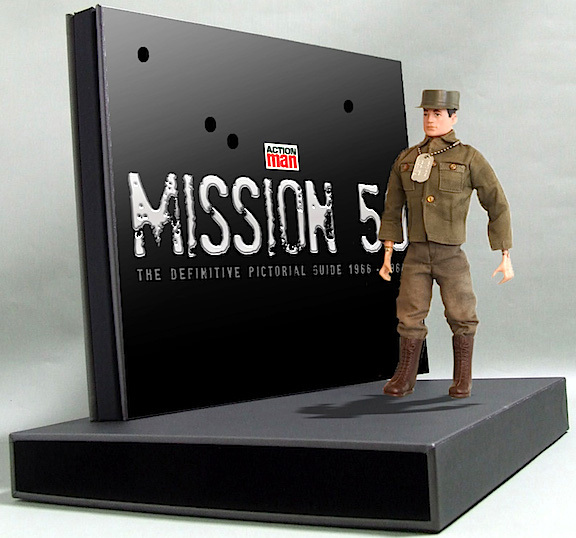 Bottom Line: The Action Man community has spoken—at least for now. AM fans are clearly an outspoken and opinionated bunch, always ready and willing to defend the honor of their vintage action hero. And as we approach the figure’s 50th anniversary in 2016, it’ll be interesting to see how the venerated toy line is treated over in the UK and Europe. 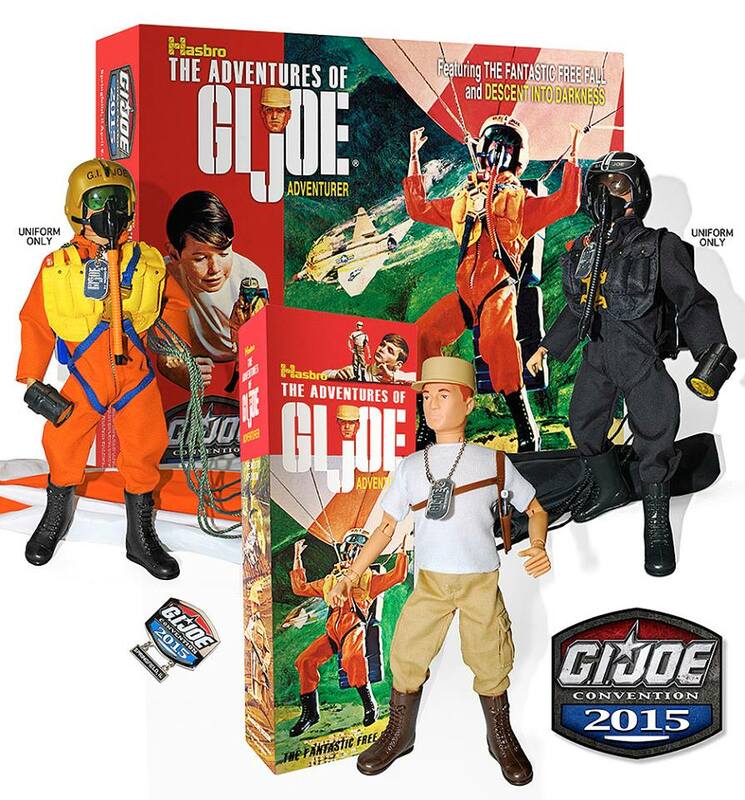 Will AM receive the same (lack of) attention afforded to GIjOE during his recent 50th? Stay tuned, for updates. Go, ACTION MAN! We’re not quite sure why, but BBC2 has been playing online “musical chairs” with one of its most highly rated episodes of James May’s Toy Stories; the long-awaited and yet surprisingly negative, “Action Man at the Speed of Sound.” We had previously reported on this controversial episode in complete detail HERE. As you may recall, after it had aired on Christmas Day, 2014, May’s openly derisive comments towards Action Man instantly upset many fans who were clearly expecting the show to be more of a “hero’s welcome” for the iconic Palitoy line. Instead, the episode unspooled more as an undeserved “roast” of the popular toy’s (perceived) failings. 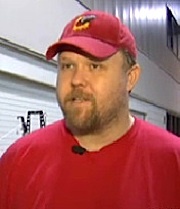 If you haven’t seen it, the episode in question is enjoyable (enough), but it IS constantly (and unnecessarily) interrupted by May’s personal assertions that Action Man (AM) had “never really done anything.” After a while, his statements must’ve begun to grate on AM’s decidedly die-hard fandom and letters of complaint and comments to that effect began to race around the ‘net. 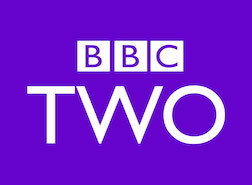 BBC2 of course, had been expecting May’s Christmas Day episode to be a big hit with viewers. And it was. After all, the UK and Europe remains a hotbed of Action Man support. In fact, expecting to bask in further acclaim, the channel didn’t hesitate to post the episode up on its own YouTube channel, where it quickly began to rack up thousands of AM fan “views.” But after only a few weeks, the channel removed the episode without further comment or explanation. As you undoubtedly know, the internet remains the “Wild West” in many respects, and it doesn’t take long for ANY photo or video to find itself a new home—on another server—somewhere. And in this particular case (as of the writing of this article), an anonymous Action Man fan named, “Helen” has uploaded a nice crisp copy of the Speed of Sound episode on a competing video website called DailyMotion (see clip above). As far as we know, Helen’s page is currently the only place fans can view the episode. For whatever reason, 2 months after it originally aired in the UK, Speed of Sound has yet to posted by BBC2 on the Toy Stories official website HERE or its sister Hulu page HERE. Bottom Line: NOTHING truly ever disappears from the internet. There are always sites SOMEWHERE storing and silently archiving EVERYTHING we’ve ever posted. Most of it happens continuously and silently, in the background, in a faraway land, and we never give it a second thought. So when a “missing” episode suddenly reappears, you shouldn’t be too surprised. If you haven’t yet seen the Speed of Sound episode, take an hour to do so now. And remember, May’s opinions are wholly his own. Whenever he disses Action Man, just laugh it off. It’s a shame he doesn’t “get it.” But we all know that the TRUTH is out there. Go, ACTION MAN! Bottom Line: Every year at Joelanta, thousands of fans gather to celebrate everyTHING that’s wonderful about GIjOE and the action figure and toy hobbies in general. 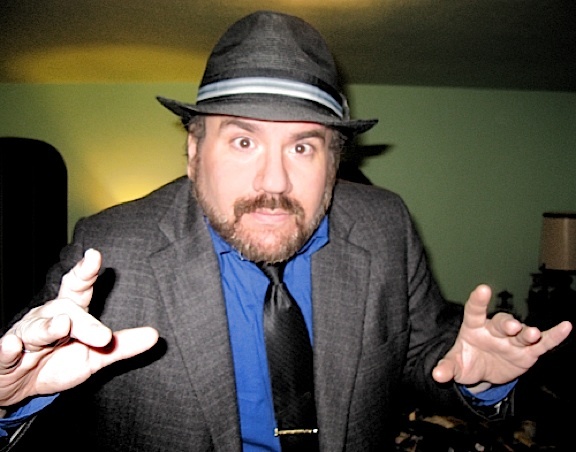 One subset of fans who attends also arrives bearing freshly pressed DVDs loaded with entertaining “Joe Videos” they’ve produced over the past year, eager for their official worldwide debut at the famous Joelanta Film Festival. One such filmmaking couple is Tim and Lisa Weedn, whose delightful animated video projects never fail to amuse their audiences. If you haven’t seen their work before—hit the play button above! 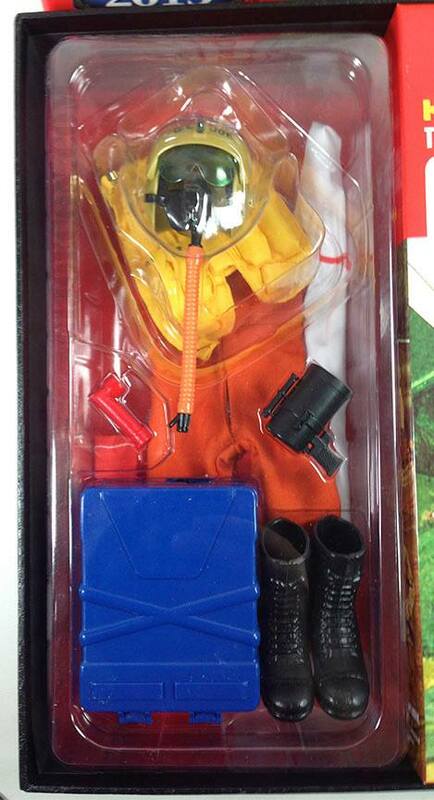 Final Pic of JoeCon 2015’s 12″ Exclusive Revealed!